Ladymieh P. Abacahin - Syntactics Inc.
With a degree in Bachelor of Science in Computer Science, Ladymieh is particularly skilled at systems analysis and design. 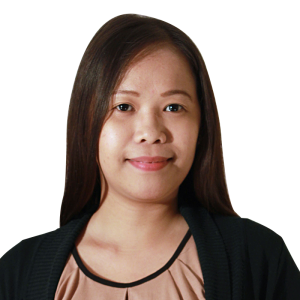 Like our other team leaders, Ladymieh or “Lady” for short is dedicated to giving her time and effort into ensuring that her team delivers output that meets the client’s requirements and needs. Lady is also quite skilled at project management and is a great team leader for the Web Division. For the good of her team and the whole company, Lady has been focused on creating standard processes for the Web Division. These processes particularly involve project management, team handling, and training her team as necessary to further polish and improve their skills and talents.